With a little less than a month until Christmas, here are some things you can do NOW to get ready for the big day. 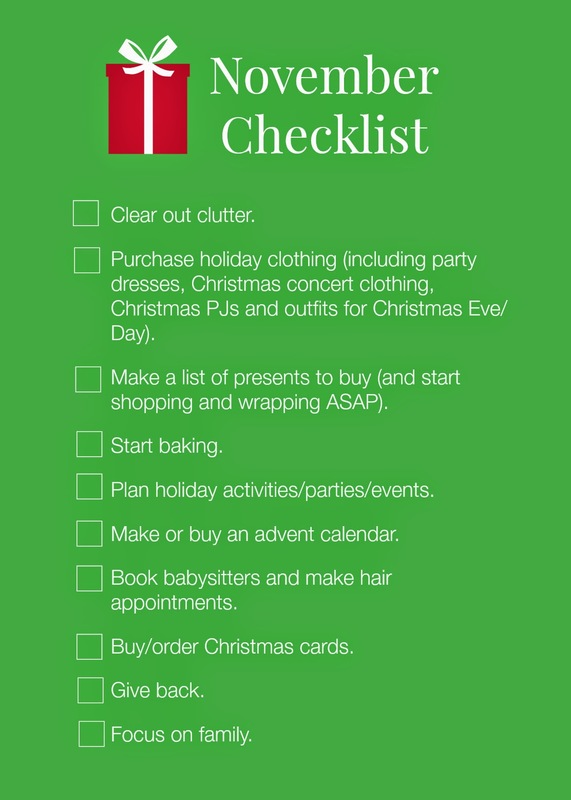 Start checking off items on my November checklist for a less stressful holiday season. 1) Make room for Christmas arrivals by purging what you already have. Get rid of old clothes, toys, and everything else that you no longer need. 2) Do an inventory of the clothing you have, and make a list of the holiday outfits that need to be purchased. Think about holiday dresses, Christmas concert clothing, Christmas PJs, and outfits for Christmas Eve/Day. Shop early when the selection is good. 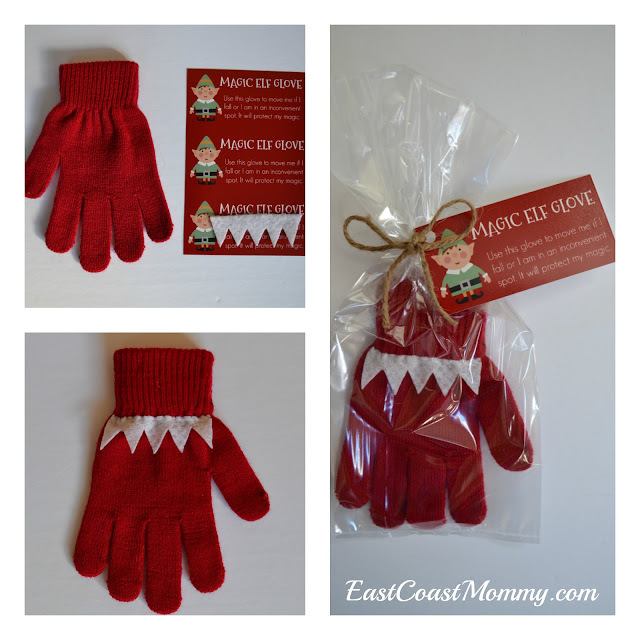 3) Make a list of Christmas gifts that need to be purchased... and start shopping and wrapping ASAP. 4) Start baking right away. Focus on items that freeze well. 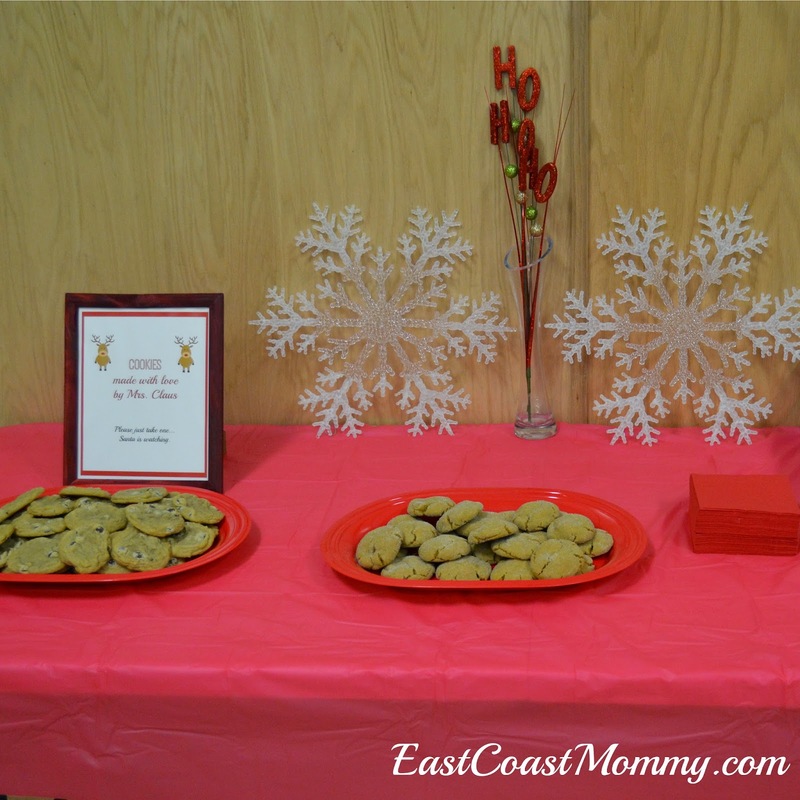 5) Start planning holiday events, activities and parties. Calendars fill up quickly, so early invites are ideal. 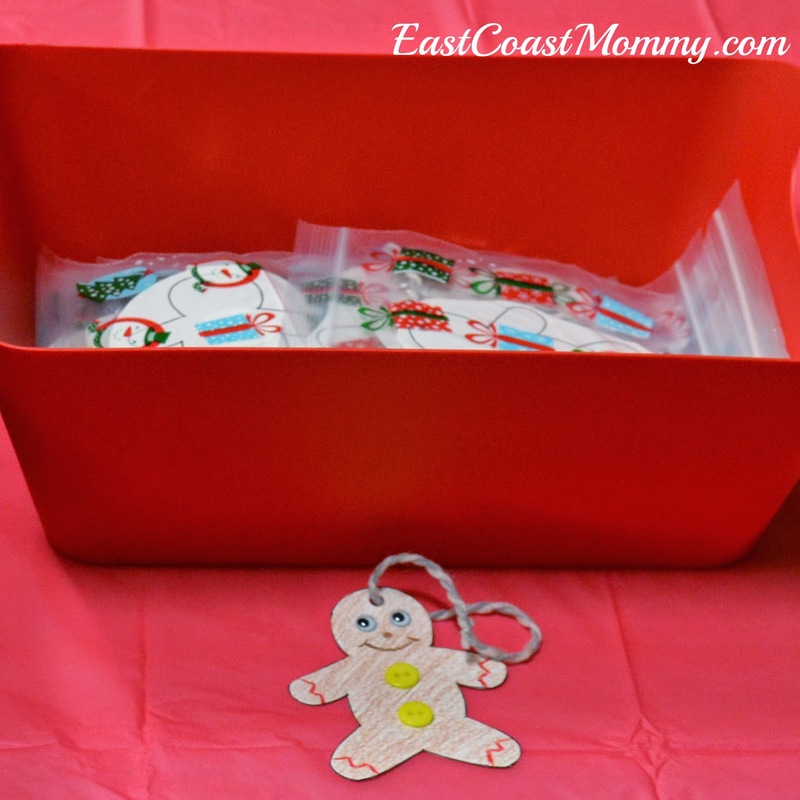 6) Make or buy an advent calendar. It's almost time to start counting down! 7) Book babysitters and hair appointments early to ensure availability. 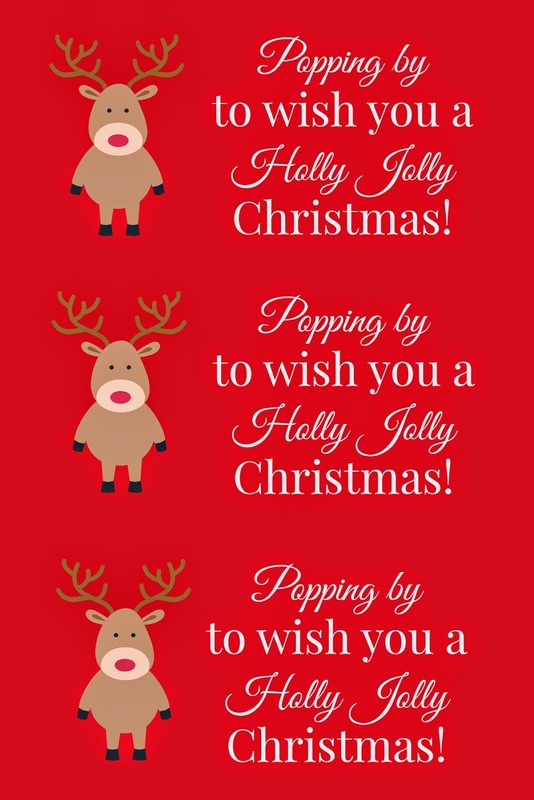 8) Buy/order Christmas cards. Mailing cards out early ensures pre-Christmas delivery. 9) Make time to give back this holiday season. 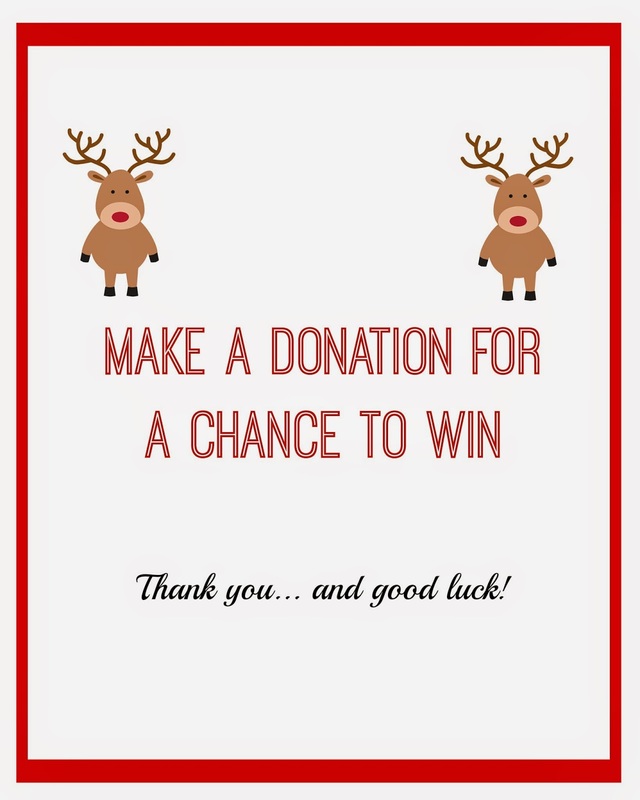 Consider baking cookies for a neighbour or buying a gift for a less fortunate family. 1) We found a venue, and we made an invite/poster that included all the party details. 2) We had a raffle for a small gift basket. 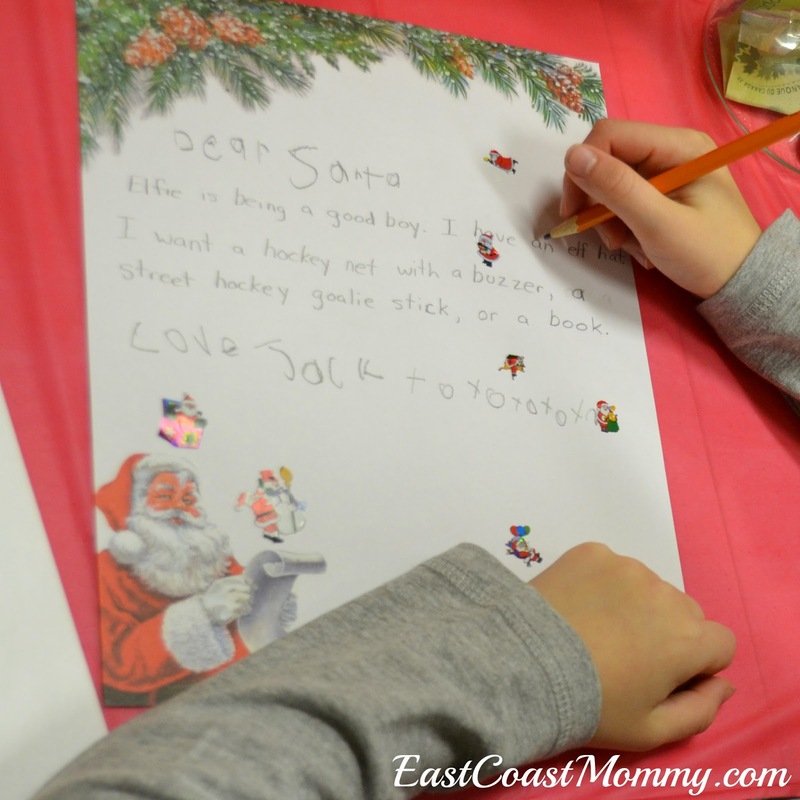 4) We gave each guest supplies to write a letter to Santa. 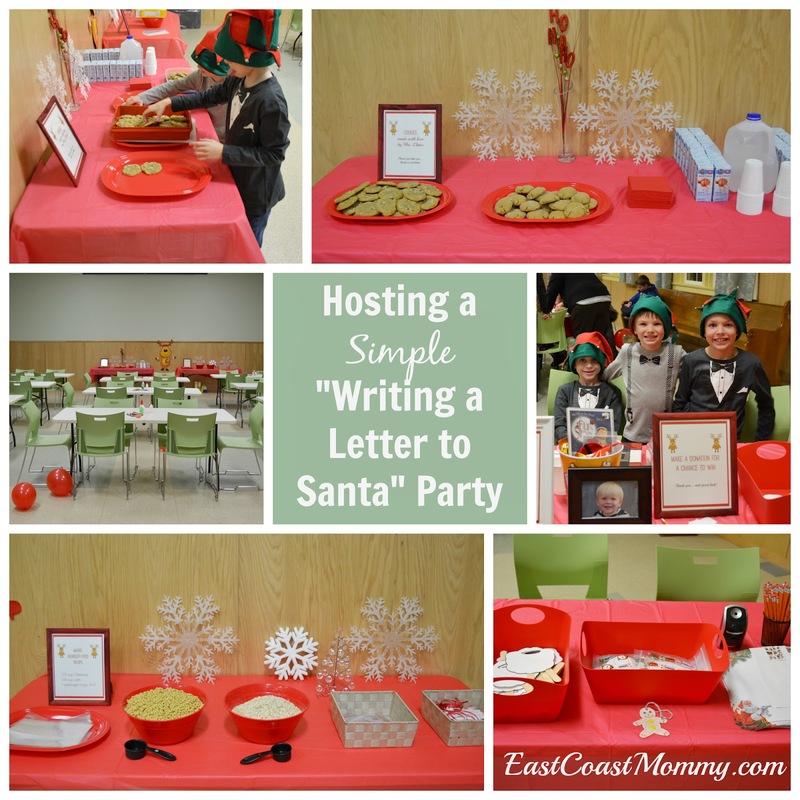 We had a lot of fun at our 4th annual "Writing a Letter to Santa" party, and I am super-proud of my little elves. With December just around the corner, I thought it was a perfect time to share a free printable with you. 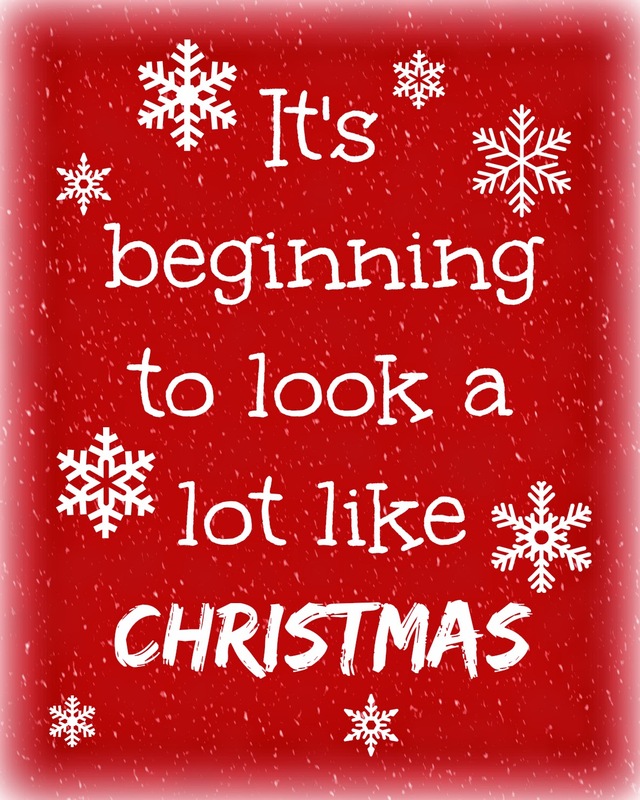 Don't you love this, "It's beginning to look a lot like Christmas" printable? To download your own copy... just right-click on the picture (above), save it to your computer, and print it like a regular 8X10 photo. To save on ink, I always send my printables to my local office supply store, and have them printed for 39 cents each. Once printed, you can put this in a dollar store frame for instant, inexpensive holiday decor. In keeping with tradition, today I wrote a birthday letter to my oldest son on his 9th birthday. He continues to be a sweet and caring boy, and I continue to be proud to be his mother. As you get older, you are changing and becoming more independent, but you still have the same kind heart you have always had. You really are a sweet, well-rounded boy, and I love you more each day. You give everything you do 110%. Your focus and intensity is something Daddy and I really admire about you. 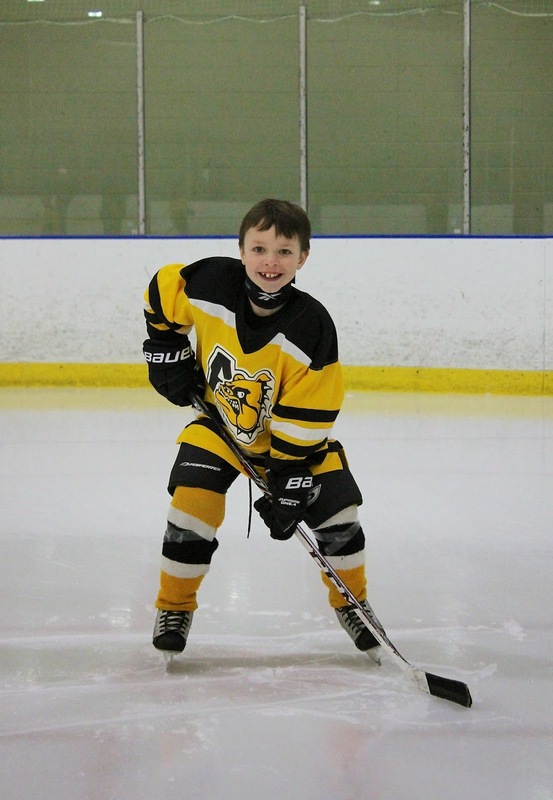 You were recently voted co-captain of your hockey team (by your teammates), and Daddy and I are proud that you were recognized for your strong work ethic and positive attitude. You love playing with your brothers... especially mini sticks, basketball, and chess. I love that you are all good buddies. You love Friday night because we always have pancakes and watch a movie together as a family. I'm happy that you aren't too old to snuggle with your mother. You love choir and playing your guitar (when we have a little time away from the rink). You still call me Mommy, and I love it... even though I know it will likely come to an end soon. You love peanut butter sandwiches and would eat them at every meal if I let you. Your favorite color is red, your hockey number is 7, and you want to be a hockey player when you grow up (after attending university, of course). Happy birthday my little angel. You may be 9, but you'll always be my first baby. 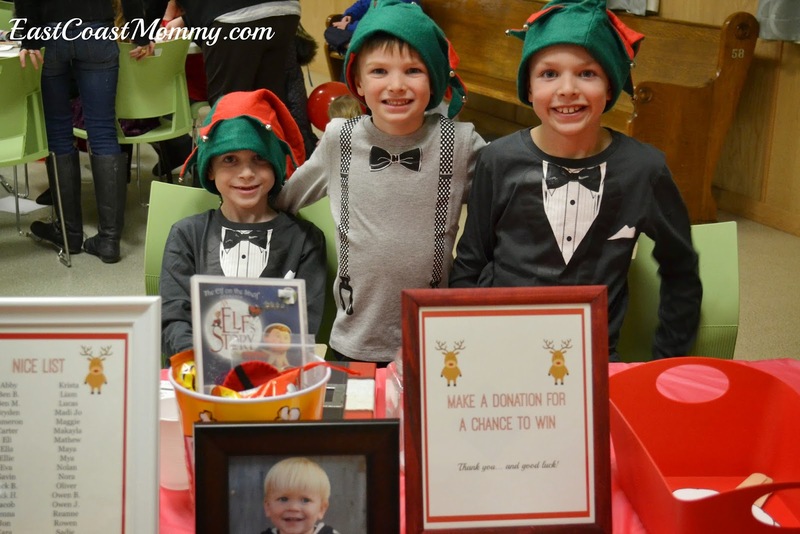 Every year my boys host a "writing a letter to Santa" party/fundraiser for charity, and we always have our guests make their own "Magic Reindeer Food". It's a fun traditions, and kids love it. 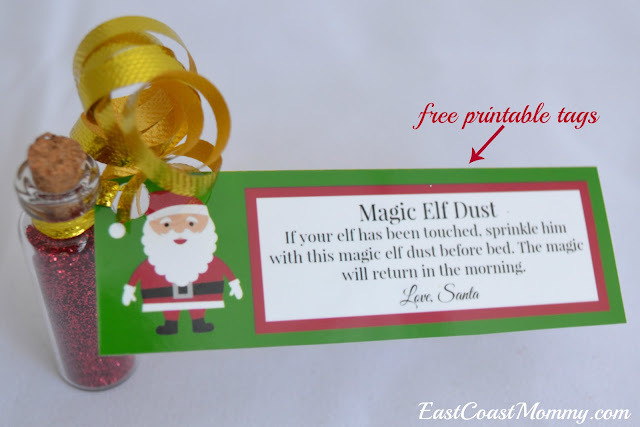 Today I am sharing the recipe we use, as well as the printable tags that I designed... for FREE. 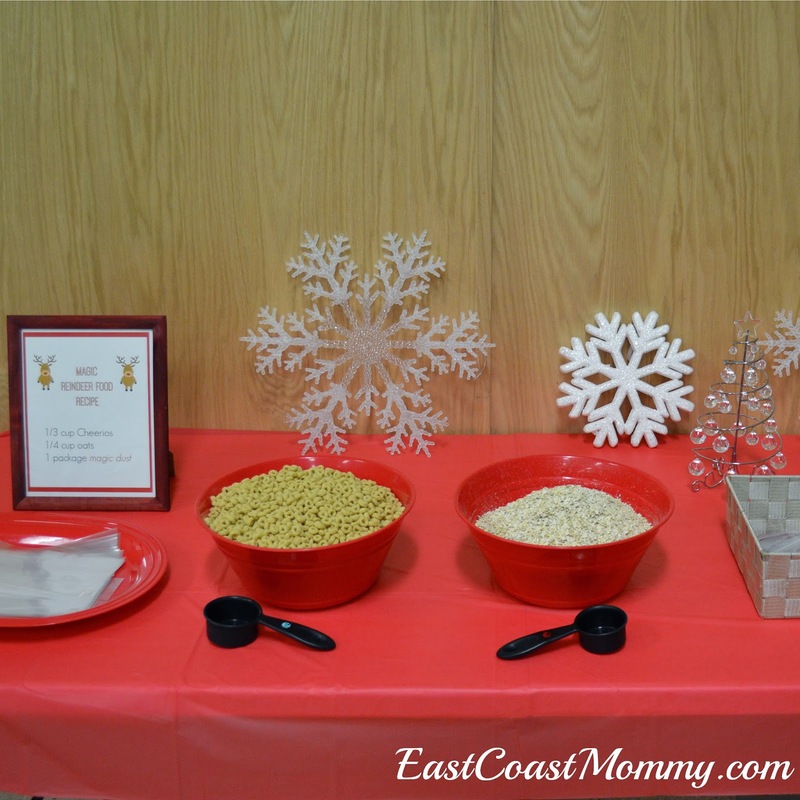 The first thing we do is set up our reindeer food making station with bowls of oats, Cheerios, and little bags of red sugar crystals (aka magic dust). Then, we let the kids follow the recipe and scoop the ingredients into little bags. Here is the recipe we print out, frame, and place on the table. 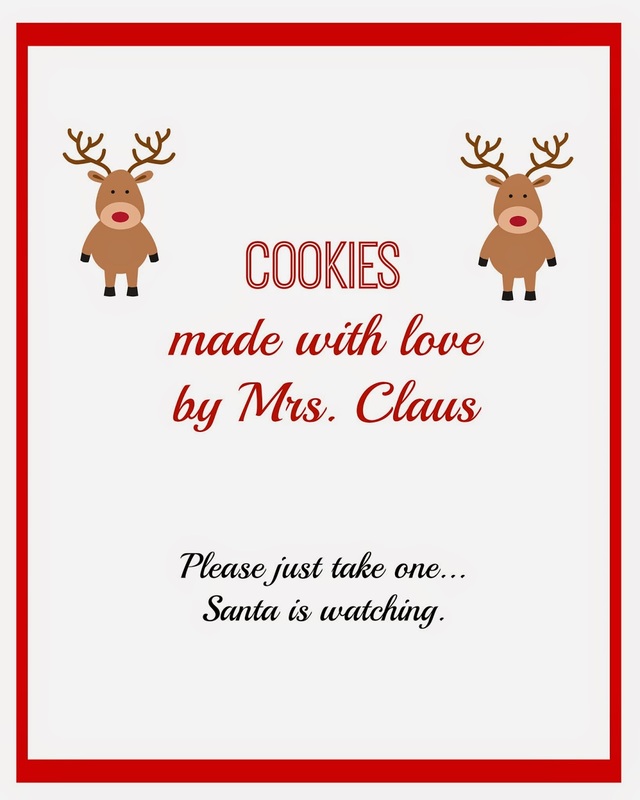 To print an 8X10 copy of this recipe, right click on the picture (above), save it to your computer, and print it like a normal photo. 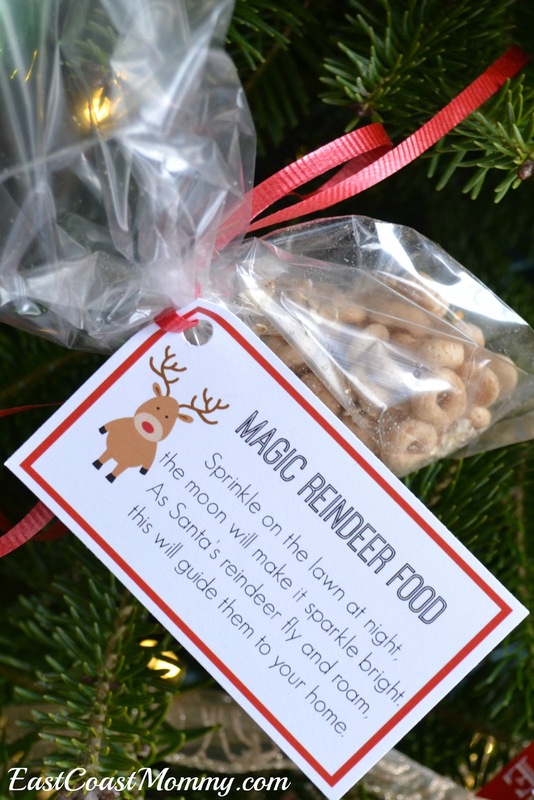 Then, each guest uses a piece of ribbon to attach a fun tag to the their bag of magic reindeer food. Here are the tags I designed this year. 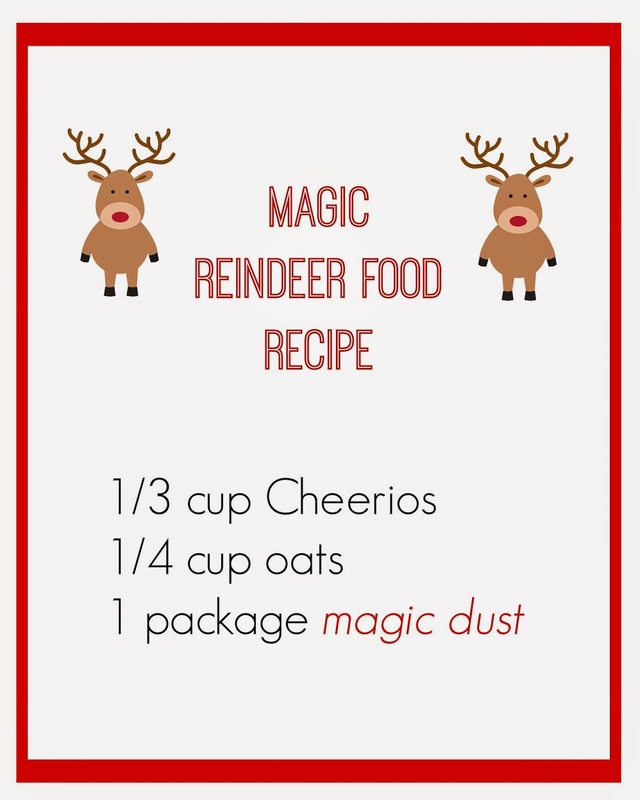 To print this 8X10 sheet of magic reindeer food labels, right-click on the picture (above), save it to your computer, and print it like a normal photo. 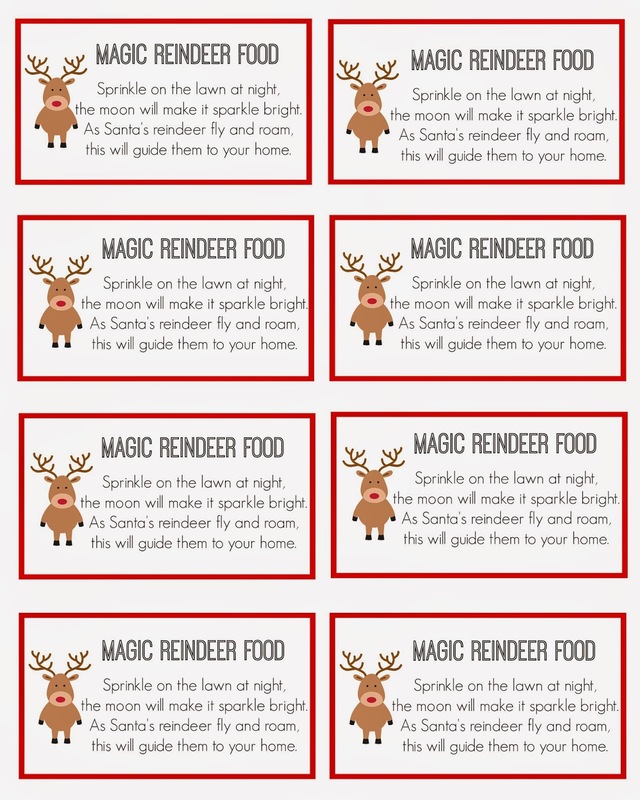 Making magic reindeer food is a lot of fun, and it is even more fun to sprinkle it on the lawn on Christmas Eve. 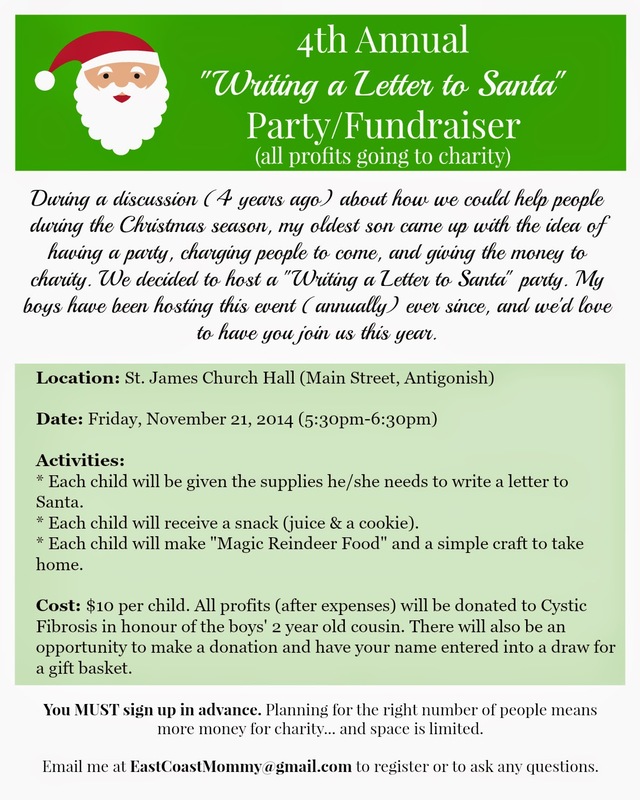 It's a great way to help Santa find your home! 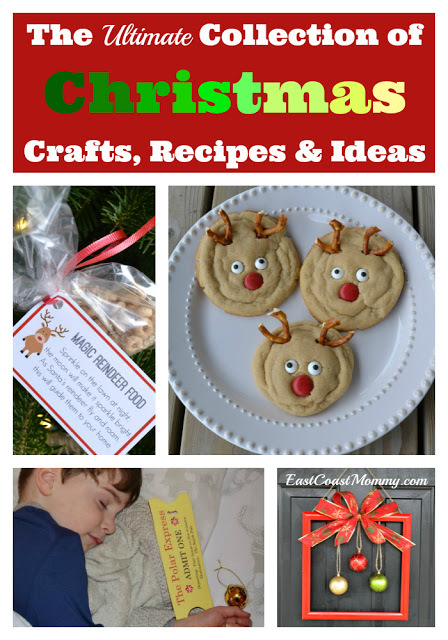 PS - You can find more fantastic Christmas tips, crafts, recipes and ideas here. I have a huge weakness for handprint art, and I am so delighted to share my boys' latest masterpiece with you today. 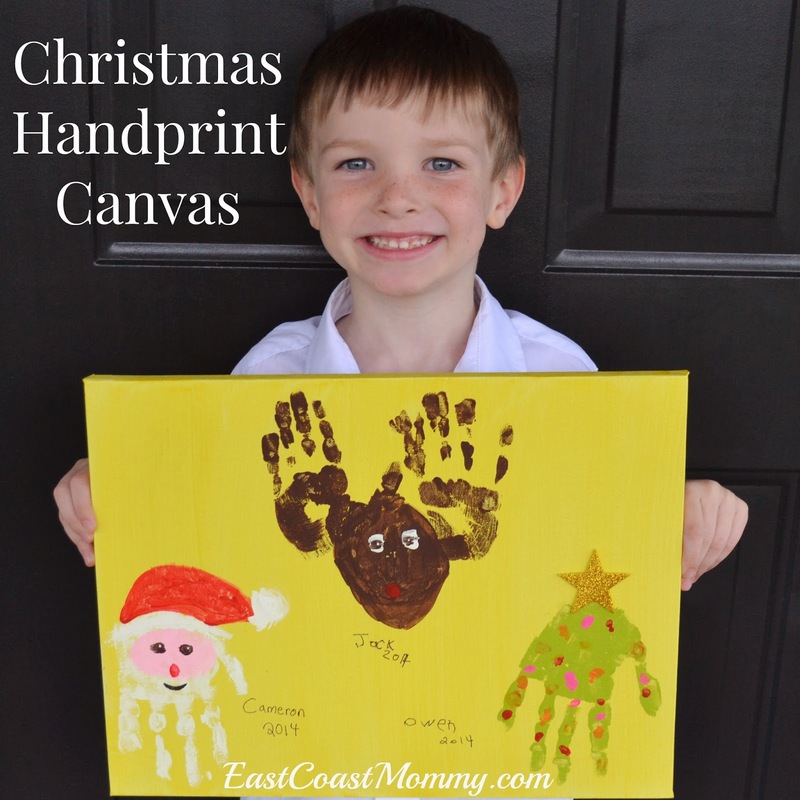 Don't you just love this Christmas handprint canvas? My youngest son also made an adorable handprint Christmas countdown, and you can check it out at CBC Parents here. It's a really cute way to build excitement and anticipation this holiday season. Have a look, and let me know what you think. If you love Elf on the Shelf, and you are looking for a great way to organize all the "elf antics" this year, I have a great tool for you. 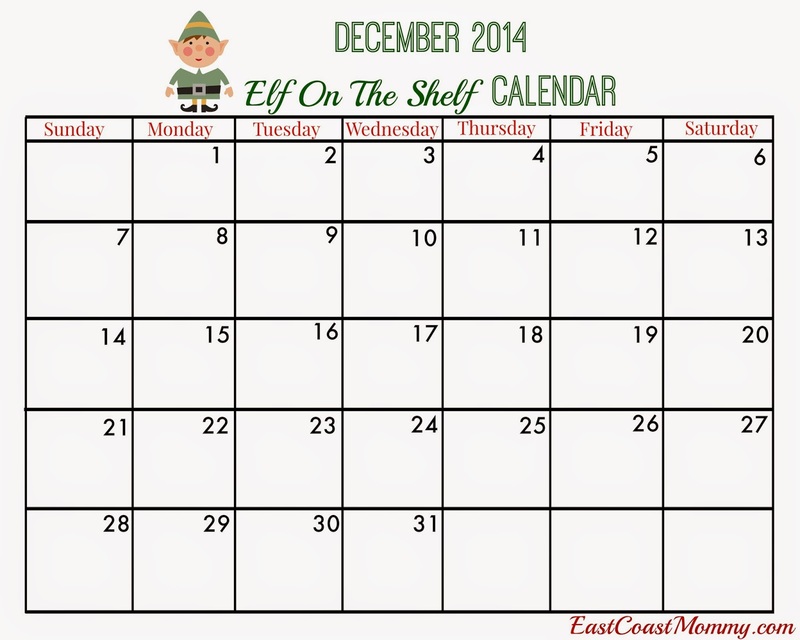 Check out the adorable Elf on the Shelf calendar I designed. To print a free copy of this "blank" calendar, right-click on the calendar (above), save it to your computer, and print it like an 8X10 photo. 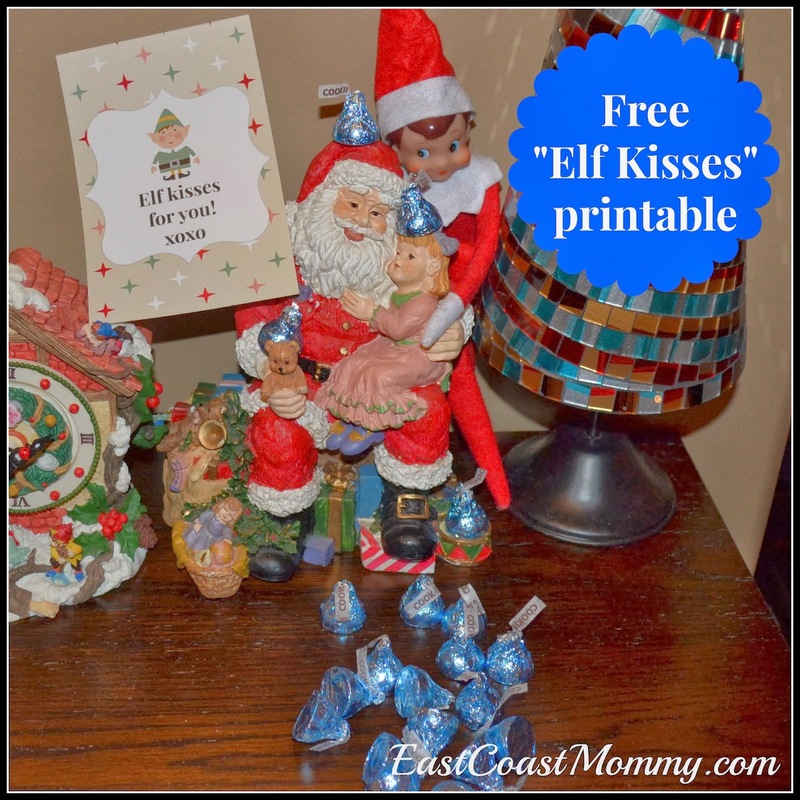 And... if you are looking for some Elf on the Shelf inspiration, I have a collection called, "a month of Elf on the Shelf ideas and printables" that you can see HERE. I have even designed a copy of the calendar containing all the items in my collection. To print a free copy of this calendar of ideas, right-click on the calendar (below), save it to your computer, and print it like an 8X10 photo. Cute, right? 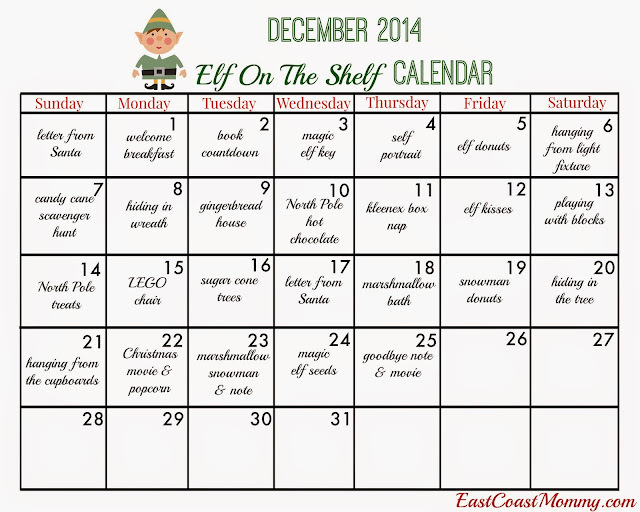 Enjoy the calendar, and have a great month with your Elf on the Shelf! Note: This post contains affiliate links. If you purchase products recommended by me, you will be supporting my blog and all the free tutorials and printables I provide. Thank you! I love to have my boys bring little gifts to our neighbours during the holiday season. 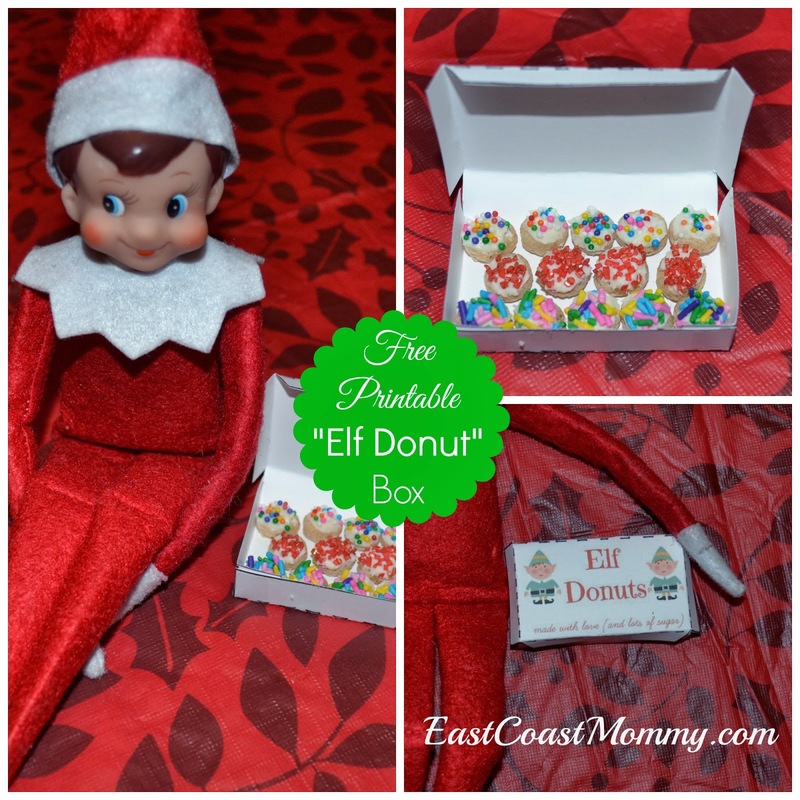 Each year, I try to think of fun and inexpensive treats I can put together easily. This year I came up with this simple (yet adorable) DIY neighbour gift. Isn't it cute? I put a package of popcorn and Jolly Rancher candies in a bag, and I added a little note that says, "Popping by to wish you a Holly Jolly Christmas!" To download the tags I designed, right-click on the picture below, save it to your computer, and print it like a regular 4X6 photo. Do you like to share treats with your neighbours? 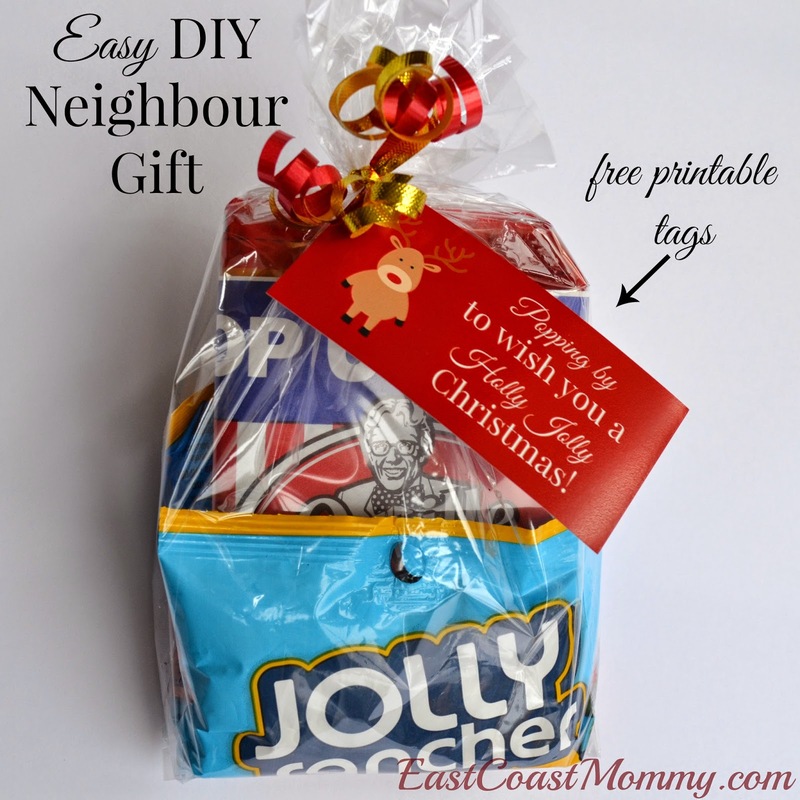 I think this simple neighbour gift is a fun way to share holiday spirit. Our Elf on the Shelf is a treasured part of our Christmas celebrations. 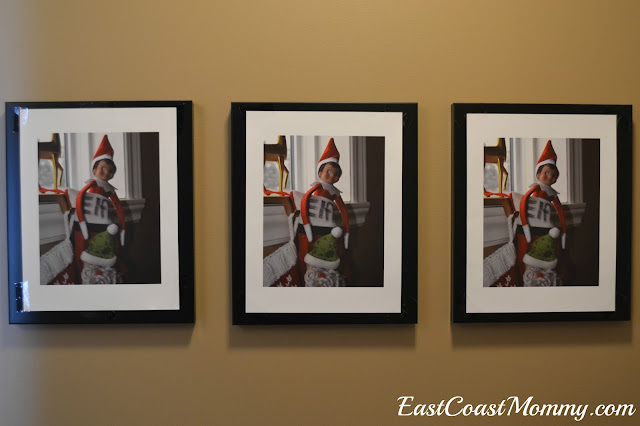 "Elfie" has been visiting us for many years, and my boys love the excitement he adds to our home during the holidays. 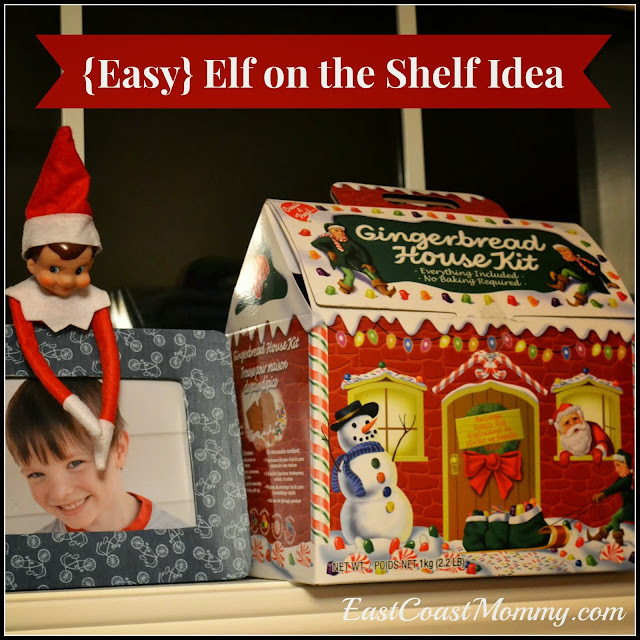 Today, I am sharing an entire month of easy and fun Elf on the Shelf Ideas. I have also included links to more information and many free printables. 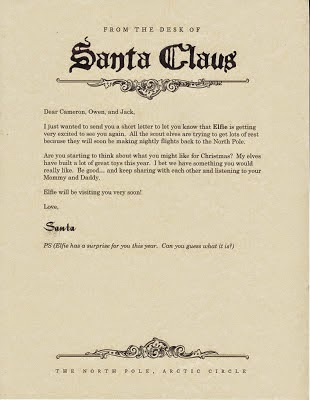 Before the elf arrives - Santa sends a letter letting the kids know that the Elf is coming soon. And.... plan for the month ahead by printing a calendar of these Elf on the Shelf activities. You can download and print one (for free)... here. 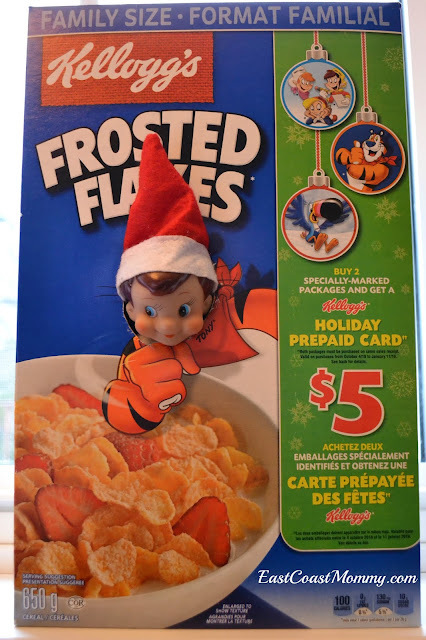 Or, he can just arrive in a cereal box! December 2 - The Elf on the Shelf wraps books and movies for a countdown to Christmas. December 3 - Elf on the Shelf gets his own key. 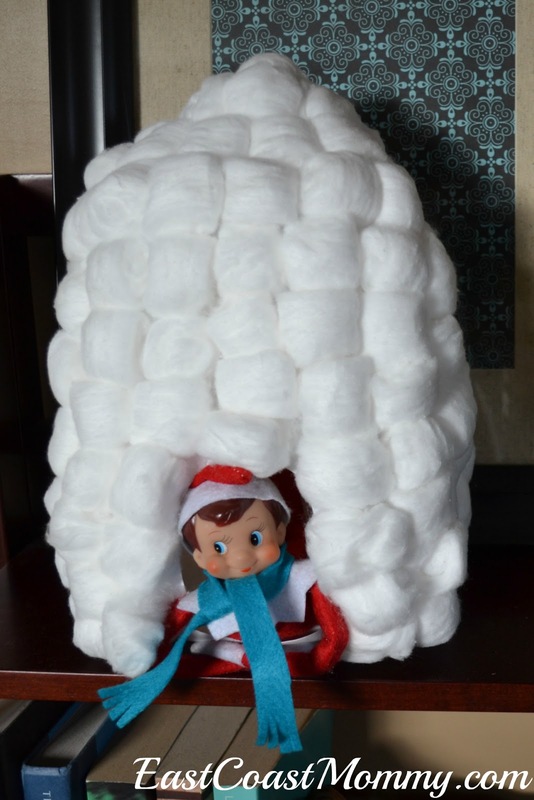 December 4 - Elf on the Shelf draws a self portrait or builds an Igloo. December 5 - Elf on the Shelf brings donuts. December 6 - Elf on the Shelf hides in the light fixture (far away from the bulb that could burn him/her) or he covers all the family photos with pictures of himself. 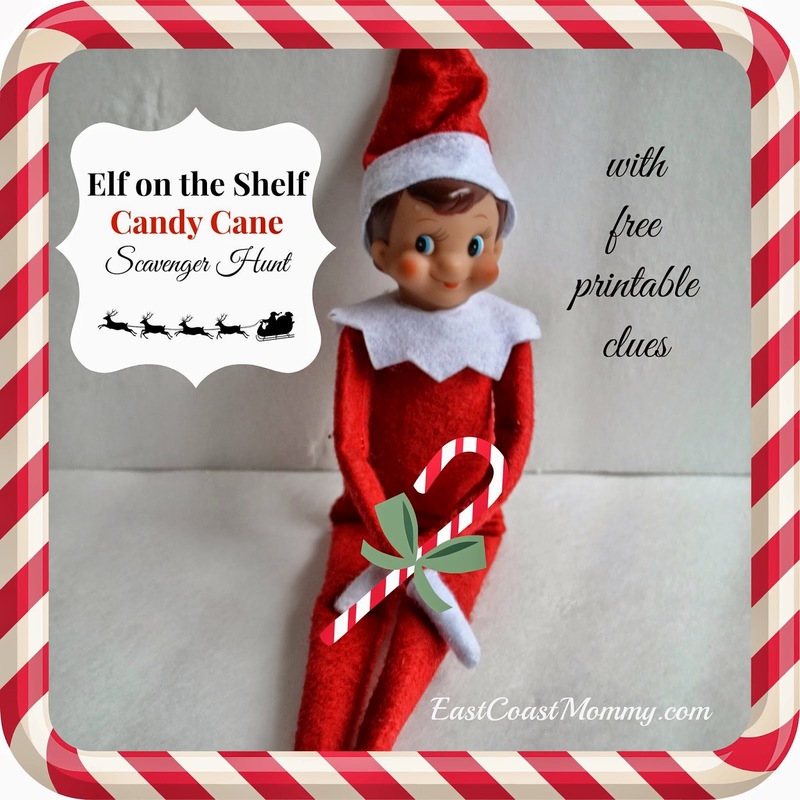 December 7 - Elf on the shelf brings a candy cane scavenger hunt. December 8 - Elf on the Shelf hides in a Christmas wreath. December 9 - Elf on the Shelf brings a gingerbread house for the kids to build and decorate. 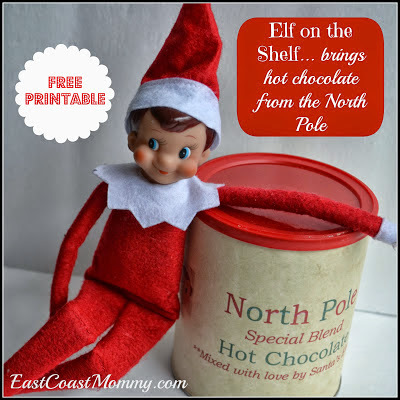 December 10 - Elf on the Shelf brings hot chocolate from the North Pole. 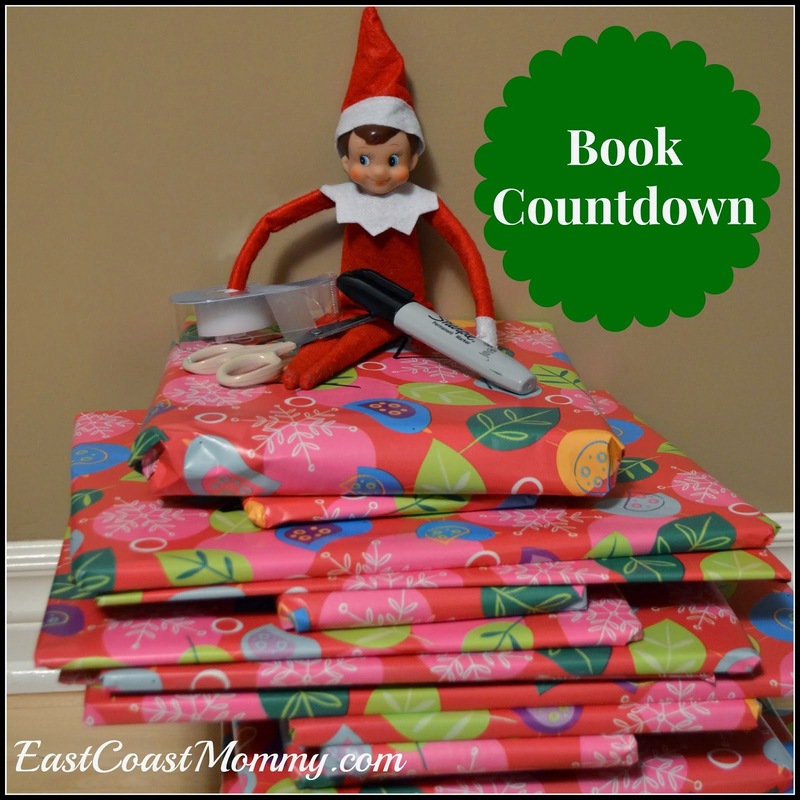 December 11 - Elf on the Shelf takes a nap in a kleenex box. 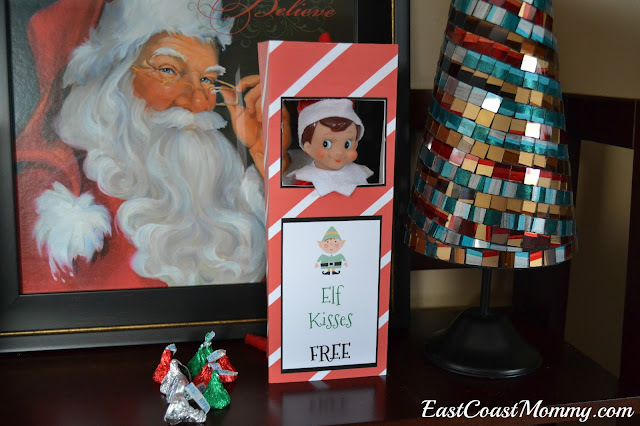 December 12 - Elf on the Shelf brings "Elf Kisses" or he could build his own Elf on the Shelf Kissing Booth. 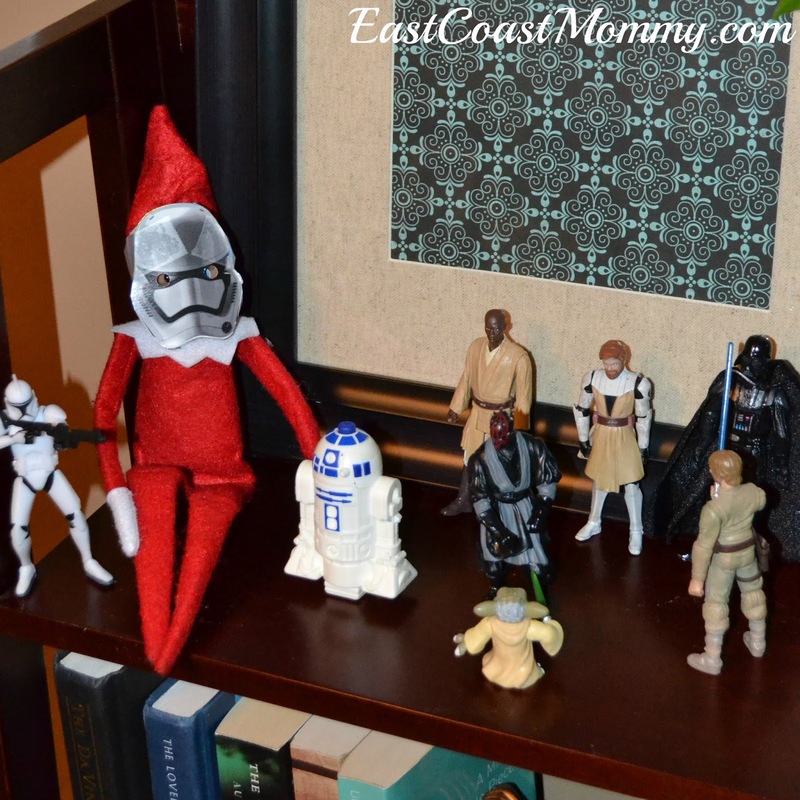 December 13 - Elf on the Shelf plays with blocks or Star Wars toys. 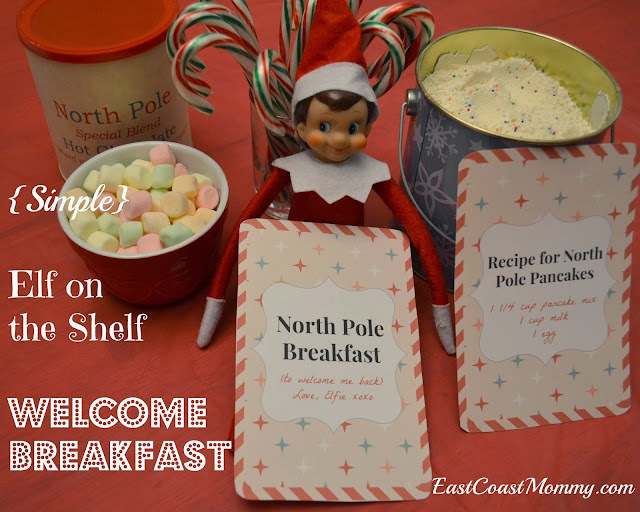 December 14 - Elf on the Shelf brings "North Pole Treats". 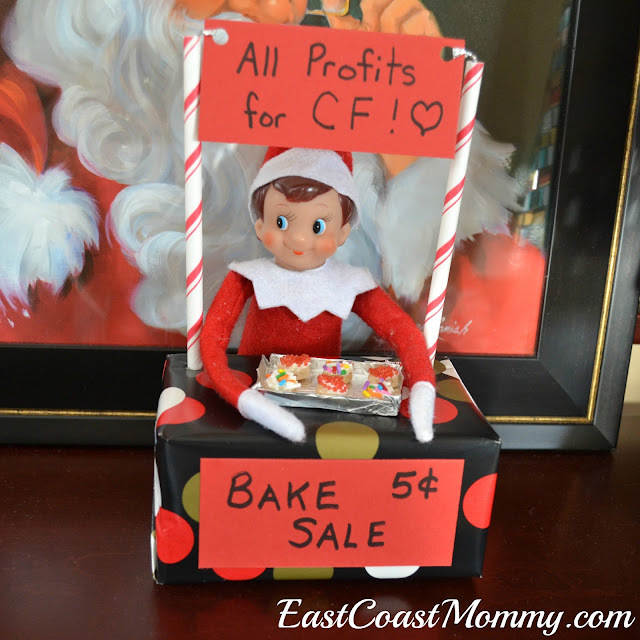 Or he could host his own Elf on the Shelf bake sale for charity. 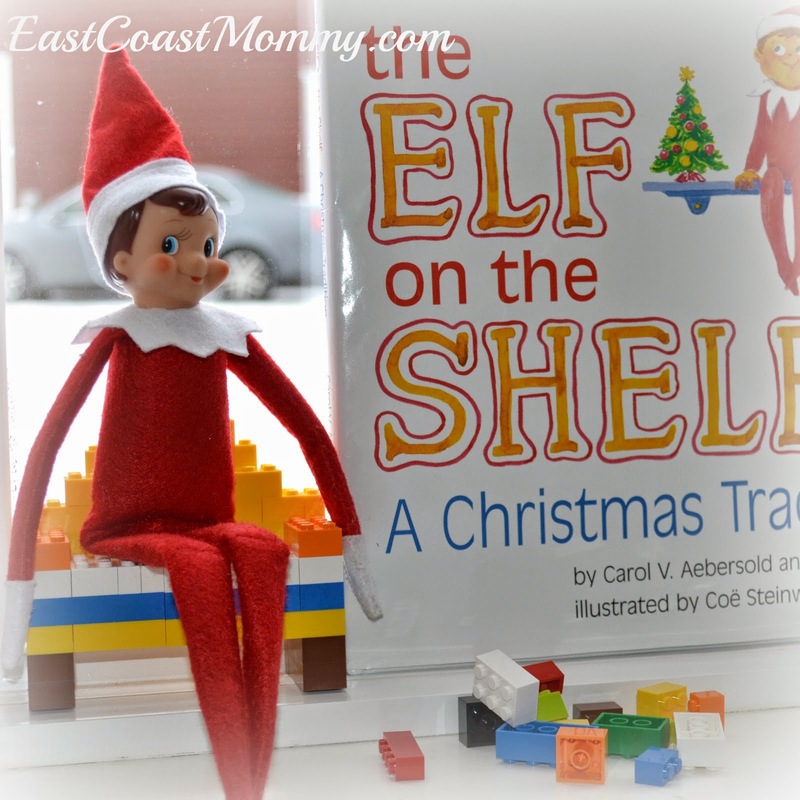 December 15 - Elf on the Shelf builds a chair out of LEGO. 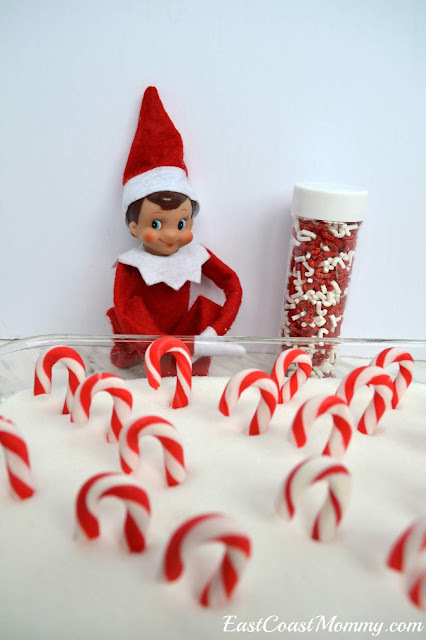 December 16 - Elf on the Shelf brings supplies to decorate "sugar cone trees". 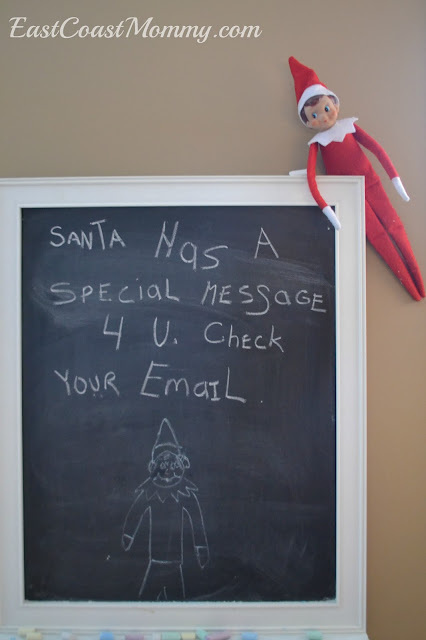 December 17 - Elf on the Shelf brings a letter from Santa, or he lets you know that Santa has sent you a special video message. December 18 - Elf on the Shelf takes a marshmallow bath. 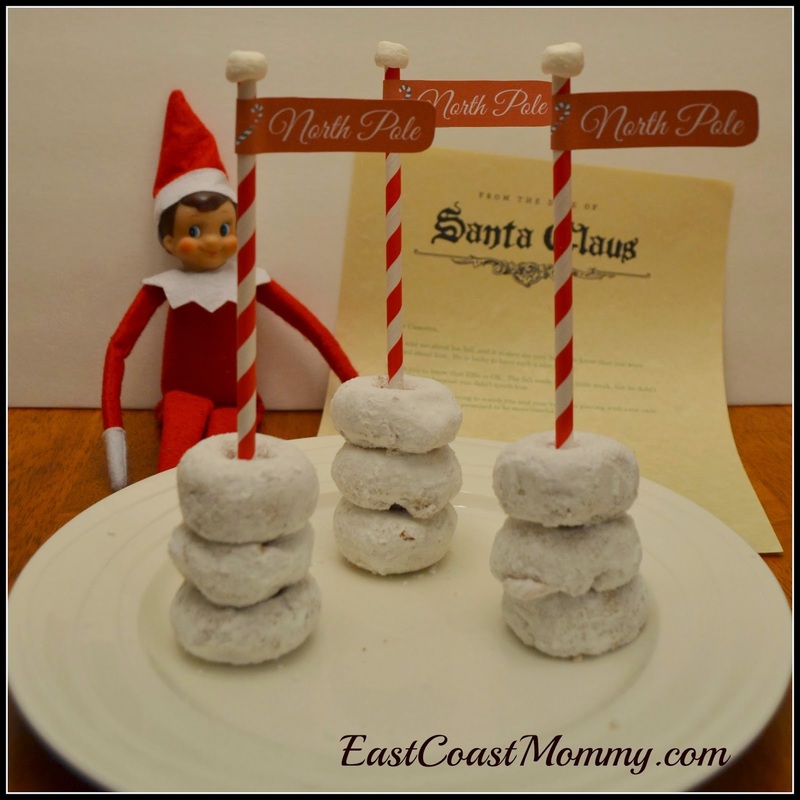 December 19 - Elf on the Shelf makes snowman donuts from mini donuts, mini chocolate chips and candy corn. December 20 - Elf on the Shelf hides in the Christmas tree. December 21 - Elf on the Shelf hangs from the cupboard doors. December 22 - Elf on the Shelf brings a Christmas movie. 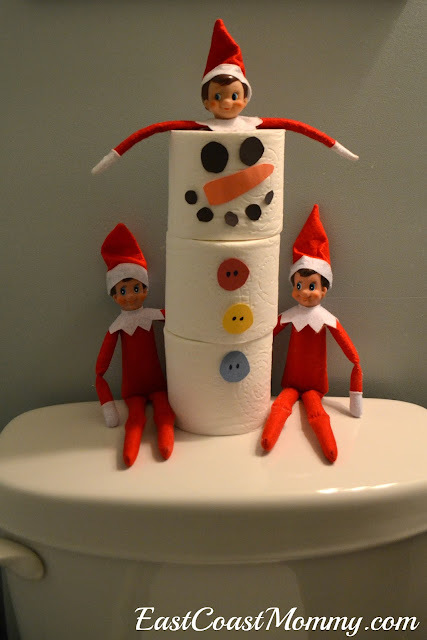 December 23 - Elf on the Shelf builds a snowman out of marshmallows or toilet paper, and brings a tiny note answering questions the kids have been asking about him. He can also bring seeds for a candy cane garden. You can get the free printable tags for the seeds here. 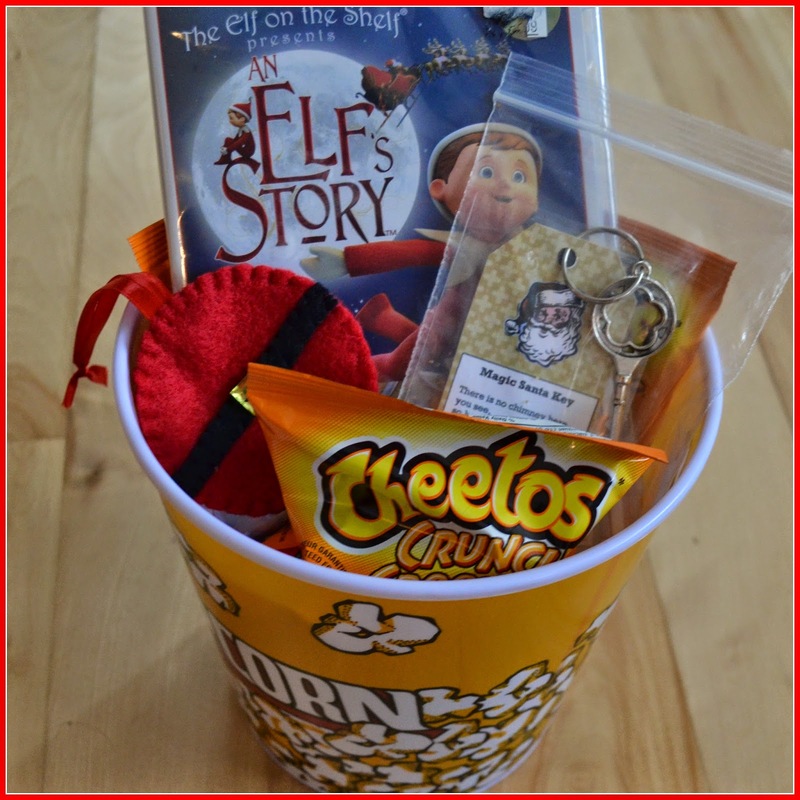 December 25 - Elf on the Shelf leaves a good bye note and a special movie. 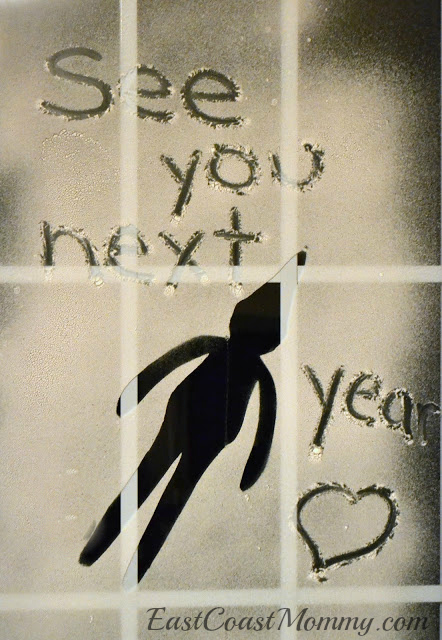 Or he can write a goodbye message with spray snow. 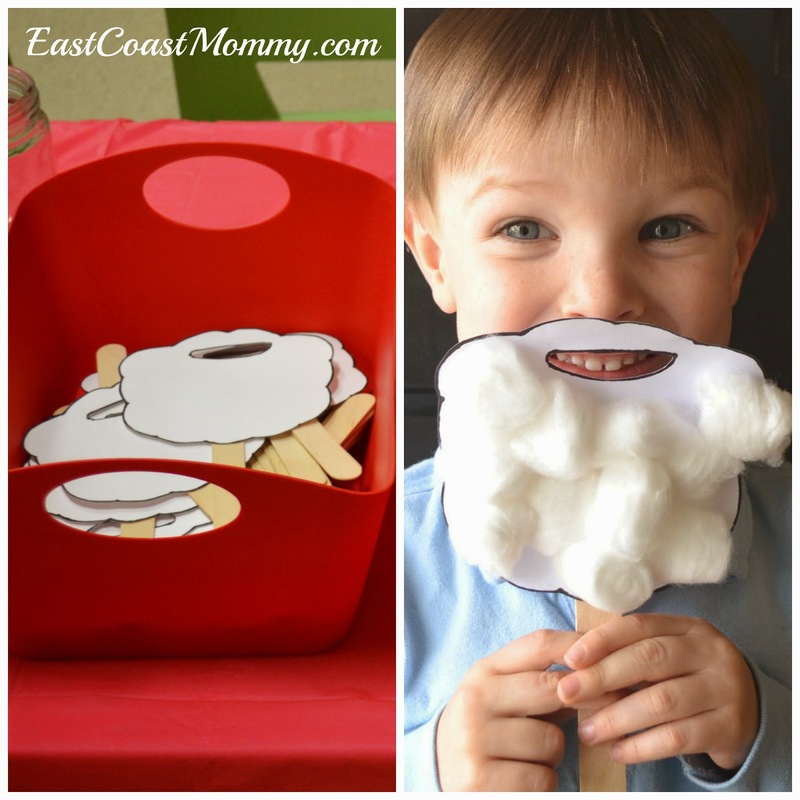 I hope you try some of these ideas with your little ones, and you if you have some other fun ideas, I'd love to hear about them. 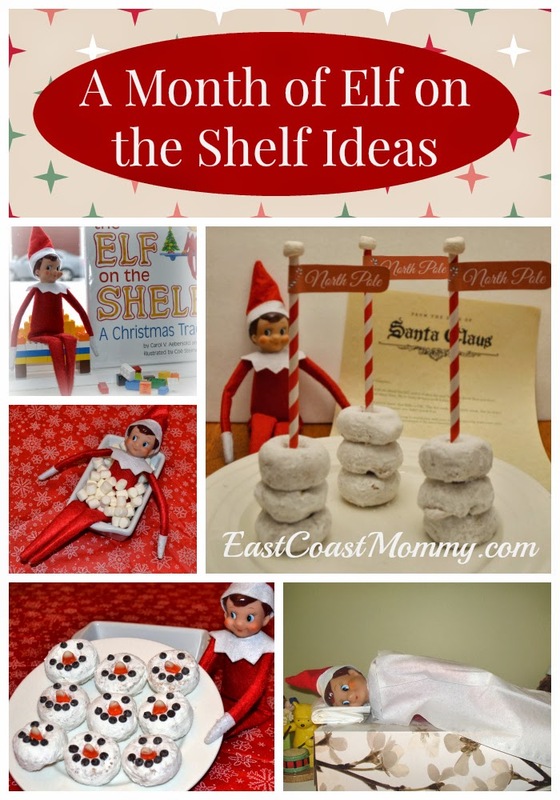 Feel free to share some of your Elf on the Shelf adventures in the comments below.